Posted on December 5, 2009 by Notorious B.U.D. The Mariners made the off-season's first big splash with the signing of Figgins to fill their void at third. Jack Zdrunciek wasted no time in letting Seattle fans know his intentions for the 2010 season—the Mariners are gunning for an A.L. West title. With the calendar turning to December and baseball’s annual winter meetings looming, the M’s are rumored to be in the final stages of a deal that would bring the 31-year-old Chone Figgins to Seattle to serve as the team’s third baseman for the next four seasons. Though terms of the deal haven’t been finalized, it is estimated that Figgins would receive around $9 million a year through 2013, with a potential option for the 2014 season. Seattle struggled all season at third base, with poor offensive production from an injury-riddled Adrian Beltre and his replacement Jack Hannahan, and the position was clearly a focus of Zdrunciek heading into the offseason. Figgins’ signing is a true double-edged sword for the Mariners. Not only does Seattle add a talented and versatile veteran to their roster, but in doing so they also rob division foe Los Angeles of one of their most consistent and popular players. Figgins has spent his entire eight-year career with the Angels, serving as a super utility man before settling in at the hot corner, and is coming off his most productive season yet. 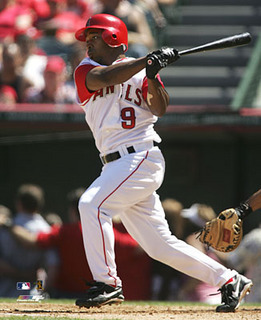 The pint-size sparkplug was one of the game’s best leadoff batters in 2009, hitting .298 with 42 stolen bases and 114 runs scored. An extremely patient batsman, Figgins led the American League with 101 walks and will provide the Mariners with a vast upgrade over last year’s two-hole hitters (.294 OBP vs Figgins .395). While he will be replacing a Gold Glove caliber player in Beltre, Figgins’ good range and strong arm at third certainly won’t conjure up any images of Russ Davis; he’s a solid player across the board. 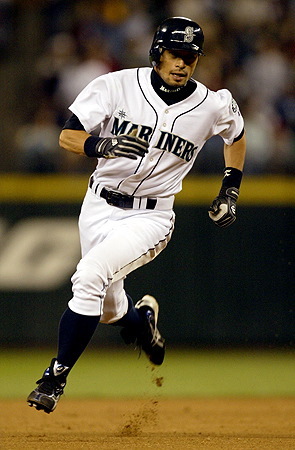 Figgins will combine with Ichiro to form a dynamic duo at the top of the Mariners' order. The Mariners were second to last in the AL in OBP, batting average, OPS and runs scored in 2009 and the arrival of Figgins should help to address those glaring needs. Though Figgins spent all of last season leading off it’s unlikely that he will usurp Ichiro at the top of the order. Instead, manager Don Wakamatsu will probably bat him directly behind Suzuki, giving Seattle one of the best 1-2 punches in the game (the two combined for 408 hits, 202 runs and 68 stolen bases last year). Now that the Mariners are set at the top of the order, the rest of the offseason will be spent looking for someone to drive in Suzuki and Figgins (Russell Branyan? Matt Holliday? Jason Bay?) and starting pitching to back up Felix Hernandez (Erik Bedard? Jarrod Washburn? Josh Johnson?). Zdrunciek and Co. are just getting started in their preparation for 2010, but this signing is certainly a strong start for Seattle. From the outset this looks like a major coup for the Mariners, but the final grade of this signing hinges on two major factors: Figgins productivity at the end of the contract and what the Angels are able to get out of the 18th pick in next year’s draft (which they receive as compensation from the M’s). In the mean time Seattle fans should enjoy this deal as it shows the front office’s commitment to creating a competitive ballclub. Figgins isn’t the final piece of the puzzle, but he will play a major role in helping the Mariners challenge for a division title and a chance to return to the postseason for the first time since 2001. Three Steps Forward, Two Steps Back: Should the Mariners Buy or Sell? Posted on July 12, 2009 by Notorious B.U.D. Bedard has pitched well all year, making him a prime trade target. Breezing into the All-Star break with a record of 46-42 the Seattle Mariners have outperformed even the most optimistic of predictions for their 2009 season. Despite a lackluster offense (2nd to last in the American League in runs) the Mariners find themselves only four games out of first in the AL West after taking three of four from Texas over the weekend. The team has thrived in one-run games and has gotten clutch contributions from every spot in the order (Chris Shelton today, Rob Johnson yesterday, etc). Seattle’s pitching has been the linchpin to success, with a fantastic 3.74 ERA as a team (1st in AL). The pitching staff also leads the league in saves, WHIP and batting average against (.246). This season is beginning to look like 2007 for the Mariners, a year in which they scored less runs than they allowed, yet still finished with a record of 88-75. Even though they beat the odds in 2007 to finish on the winning side of the ledger, Seattle still missed the playoffs and fell to 61-101 last year. The L.A. Angels have heated up after a slow start, winning 7 of their last 10 games, and it will likely take 90+ wins to capture the division. As good as the Mariners have been, they probably can’t be expected to win more than 84-85 games. So, do the Mariners gamble that they can overtake the Angels and try to acquire some offensive firepower, or does Seattle trade some of their veterans and start building towards next season? The Mariners' off-season addition of Gutierrez has them challenging for the division crown. Are there more moves ahead before the deadline? New general manager Jack Zdrunciek has shown himself to be a shrewd evaluator of talent, bringing in key players like David Aardsma, Russell Branyan and Franklin Gutierrez through free agency and trades. Zdrunciek seems intent on keeping Seattle competitive this season, already acquiring Ryan Langerhans and Jack Hannahan in trades as well as shipping Yuniesky Betancourt to the Royals. However, the Mariners sent most of their best minor league players (Adam Jones, Chris Tillman, etc.) to Baltimore in the Erik Bedard deal last year and injuries to starters like Adrian Beltre, Endy Chavez and the since-departed Betancourt have exposed the lack of depth in the club’s farm system. Zdrunciek finds himself at a crossroads in the first year as Seattle’s GM, balancing the need to compete this season against the need to build a team that can challenge for the playoffs perennially. While Zdrunciek was with Milwaukee the team had a track record for shying away from big trades (except for C.C. Sabathia last season) and building one of baseball’s best farm systems (Prince Fielder, Ryan Braun, Corey Hart, JJ Hardy, etc.). Will Zdrunciek stick to this formula with the Mariners? If Seattle does decide that they want to move some pieces before the July 31st trading deadline they have plenty of players that would attract interest throughout baseball. Pitcher Erik Bedard would likely be the most coveted Mariner, a left-handed pitcher with the potential to be a true staff ace. Bedard has struggled to stay healthy in his career with Seattle, but has been phenomenal in 2009 with a 2.63 ERA and 79 Ks in 75 innings. The Mariners would be wise to shop him around while he is healthy, as Bedard is a free-agent at the end of the year and unlikely to resign with Seattle. Another sell-high candidate for the M’s is surprising slugger Russell Branyan. Given a full-time role for the first time in his career, Branyan has responded by hitting .280 with 22 HRs and 49 RBIs. The power numbers are for real, but his high strikeout rate points to a continued dip in batting average as he is only a .237 hitter in over 2,200 lifetime at-bats. Rounding out the Mariner’s trading chips is the resurgent Jarrod Washburn. Finally pitching like the player Seattle thought they signed in 2006, Washburn’s new splitter has given him the ability to drastically cut down the number of hits he allows, and at the break he sports a 6-6 record with a 2.96 ERA. Like Bedard, Washburn will be a free-agent at the end of the season, and if he signed with another team would only net the Mariners one compensatory draft pick. Shortstop Reid Brignac would sure look good in Mariner blue. On the other hand, if Seattle wants to make a run at the AL West title, there are a number of moves that the team needs to make in order to keep pace with the Angels and Rangers. One position that has long been a headache for the Mariners is shortstop. Betancourt was a disappointment before his trade and replacement Ronny Cedeno may play great defense, but he is hitting just .168 on the year. An intriguing option for the Mariners is Tampa Bay minor league shortstop Reid Brignac. Buried behind Jason Bartlett and Ben Zobrist in the Rays organization, Brignac is a top-tier prospect, and if the M’s can pry him away from Tampa he could become Seattle’s shortstop of the future while helping them contend for the playoffs this year. The addition of Langerhans has provided a temporary spark to the Mariners’ offense, but the team still has a glaring need for an outfielder with some pop. Most teams don’t like to trade within the division, but Seattle would greatly benefit from the power and speed combination of Oakland leftfield Matt Holliday. After a slow start to the season, Holliday has regained the form that made him a runner for up NL MVP in 2007, and with the Athletics firmly entrenched in the division cellar would be available for the right price. If Seattle doesn’t want to meet Billy Beane’s demands for Holliday, the Mariners might want to think about pursuing Washington Nationals OF Josh Willingham (.304 BA, 12 HRs, .419 OBP) who is having a career year at age 30 and would come with a much smaller price tag. The Mariners and GM Jack Zdrunciek have some very important decisions to make over the next few weeks. Do they owe it to their fans to go out and trade for a big bat and help at third base or shortstop? Or should they move some soon-to-be free agents in order to build for the future? Needless to say, Zdrunciek and Co. will have many a sleepless night between now and July 31st. What do you think? Should the Mariners buy or sell at the trade deadline?